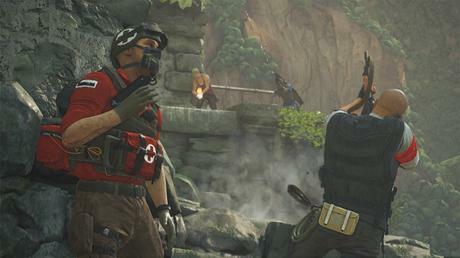 Uncharted 4's multiplayer will run at 900p/60fps, Naughty Dog has confirmed. That means that the game's multiplayer will run at a higher framerate but lower resolution than the single-player campaign, which will run at 1080p/30fps. The specs were reportedly confirmed by the developer shortly after Uncharted 4's multiplayer reveal at Paris Games Week yesterday, where Naughty Dog showed off the first footage of the game's online component. The developer had previously suggested that it was aiming to get the single-player campaign running at 60fps, too, but lowered it to 30fps to ensure it could "make the best game possible". Uncharted 4: A Thief's End launches on PS4 on March 18, 2016.